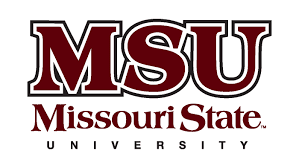 Missouri State University has announced special scholarships for Indian students. During his visit to India Colonel Stephen Robinette Associate Vice President, International Studies, MSU, USA, made a number of important announcements for Indian Students. Colonel Robinette also discussed some issues viz. US Immigration rules, safety and security of Indian students in Missouri State University. Colonel Robinette while addressing the immigration issues of Indian students said, “We have welcomed Indian students for over ten years and will continue to do so with the same zeal and enthusiasm.” Our Sub continent office, based out of the National Capital Region, is continuously in touch with all aspiring students and their parents to give proper and thorough counselling, direct or via the approved education agents. The office provides guidance support in terms of applying for a visa and the interview, thereafter. Missouri State University is a diverse university which has maintained a global focus for more than 25 years. Missouri State University is predominantly announcing courses which are tailor-made for Indian Students. For instance, MSU has introduced a new course, Master of Science in Computer Science for Indian Students. Post the paper of New Immigration Rule was signed by President Trump Indian students are apprehensive to study in US universities. Thus, the university has announced Computer Science course to ease out situation for Indian Students. Degree in Computer Science and STEM from US University allows students to work 3 years without work Visa in the USA. About Missouri State University: Missouri State University, Missouri, USA established in the year 1905, is the second-largest university in Missouri with over 23,000 students currently studying out of which 1,800 are international students representing over 85 countries. The Princeton University reviewed it as ‘The Best in the Midwest distinction’. MSU has a world-class faculty with over 90% faculty holding a terminal degree in their field of study. The university comprises a school of agriculture, a graduate college and six academic colleges namely, College of Arts & Letters, College of Business, College of Health & Human Services, College of Humanities & Public Affair, College of Natural and Applied Sciences and College of Education. MSU provides state-of-the-art facility for its students which include on-campus residence halls and dining centres, a student union, a world-class library, a brand new recreational centre and dedicated academic facilities. Both on-campus and off-campus housing facilities are available at MSU.